John Dough bread is essential to the Grand Prairie Foods hearty stuffed sandwiches. What makes John Dough bread exceptional is its ability to go from frozen to microwave and still deliver that fresh-baked quality. John Dough bread compliments many flavor options. 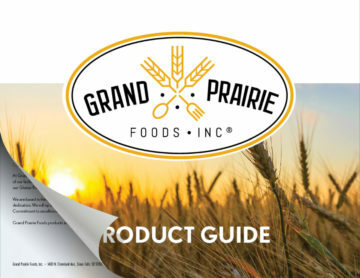 This delicious, scratch mix bread recipe combined with the innovation of the Grand Prairie Foods team in creating new products, is sure to be a hit with your customers.